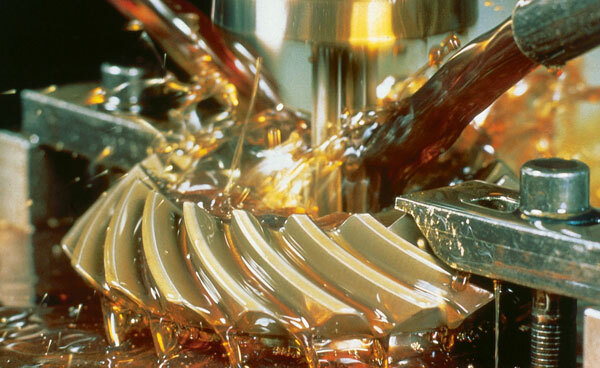 Machining processes produce many hazardous contaminants that originate from metalworking fluids. Machinists are usually well aware of the safety hazards associated with operating machines. Less known are the health hazards associated with the use of metalworking fluids. During milling, turning, grinding and boring (and other metal-cutting machining activities) metalworking fluids form a mist of small droplets. The oil mist is suspended in the air and can be inhaled and ingested. When these fluids form into a mist during the machining process the larger droplets can pass into the nose and windpipe and can be swallowed. The smaller droplets can deposit into the lungs. This can be unhealthy and very irritating to the eyes, nose and throat. If metalworking fluids become excessively hot they may start to “burn” and degrade. During machining, metal parts can reach a high temperature because of processes such as grinding procedures, and smoke may even be visible. The gaseous state of any liquid is formed as molecules leave (evaporate from) the surface of the liquid. The evaporation increases with the low boiling point of the liquid and increased temperature of the fluid. In water-based emulsion the evaporation will increase the humidity in the plant.